There is another truly inspiring Gold Award story this week - this time coming from The Wenatchee World in Washington. 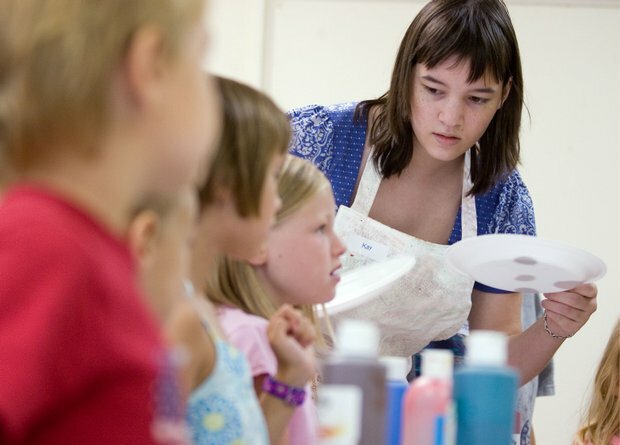 Sixteen-year-old Kay Havlicek organized a free, week long children’s art camp in August 2008. It was aimed at reaching kids whose parents might not be able to afford the typical art summer camp. The project was the culmination of the Wenatchee teenager’s participation in Girl Scouts that earned her a Gold Award - the highest Girl Scout honor - in April. One amazing aspect of the story is Havlicek's resilience in the face of a debilitating brain tumor. The diagnosis - a dysembryoplastic neuroepithelial tumor - a rare, very slow growing benign brain tumor assumed to be present since birth. A surgery took away some of the pain - the headaches she refers to as “brain freeze” and a migraine-type headache - but despite the surgery to remove the tumor, Havliceck still has constant headaches and does not know their cause. Despite all of this, she continues to work toward instilling the joy of art in others. She has a passion for art and says half of the closet in her room is filled with her art and supplies. Be sure to read the entire article, and share with us inspiring examples of Girl Scouting in your communities.